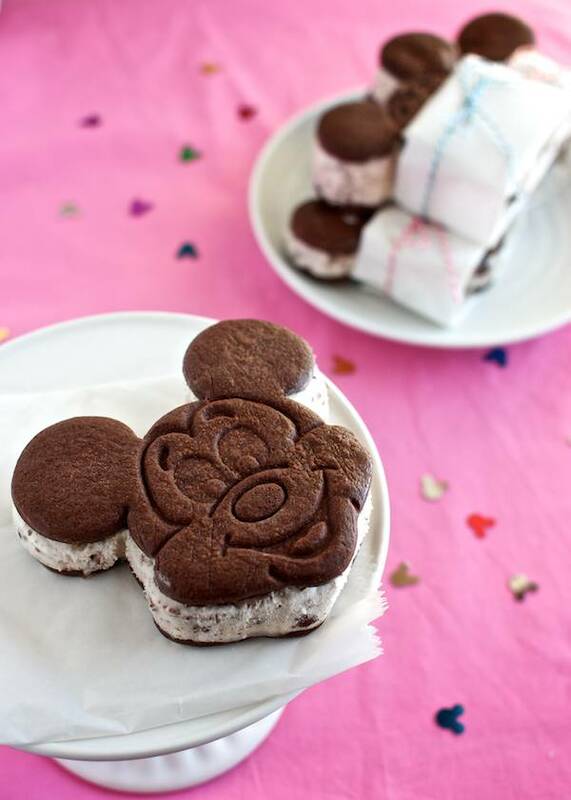 Mickey Ice Cream Sandwiches…the kids are going to die when they get home from school today. I’m kinda goofy-giddy to serve them up as an after-school snack. We just got back from a trip to Disney, with all sorts of new fun and finds with the opening of Fantasyland. 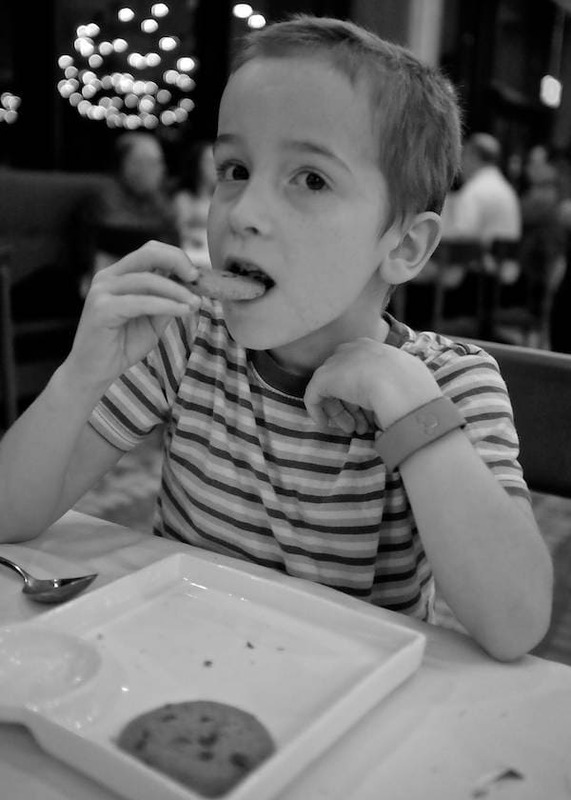 Like any trip, traveling with food allergies is a challenge, but Disney makes it as easy as possible. In the past, we’ve ordered grocery delivery from Garden Grocer. This time we flew Southwest, and they’re totally retro, allowing 2 checked bags per passenger. So we checked two big Rubbermaid bins full of non-perishable food: chips, cereal, jerky, fruit cups, shelf-stable soy milk, homemade granola bars, rice krispie treats, chocolate-coconut pinwheel cookies, Mickey sugar cookies, chocolate cherry chunk cookies, sandwich bread. We also checked a cooler, filled with lunch meat, fresh fruit, soy yogurt & frozen juice boxes (the airlines don’t allow ice). That covered us for breakfast in the room, and packing lunches…but we ate out at restaurants together at night because Disney is amazing that way. 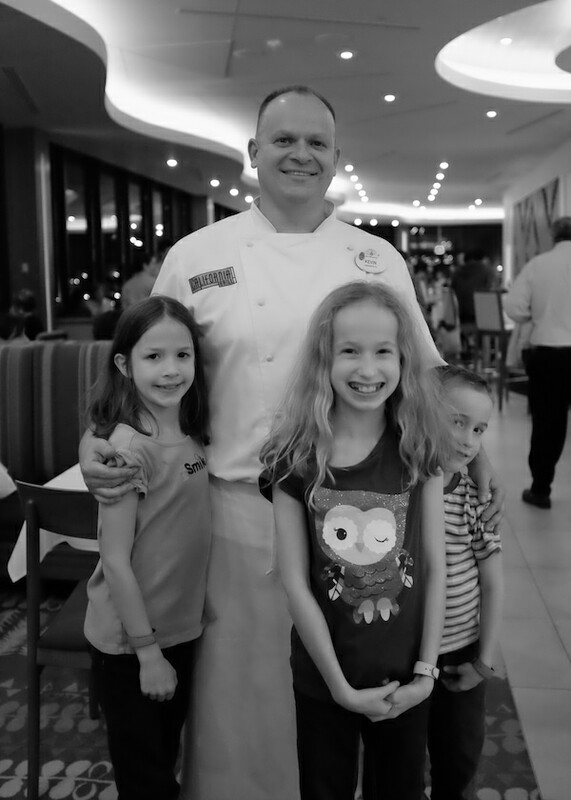 This time we ate at Jiko, Brown Derby, Kouzzina, California Grill, La Cellier. California Grill has always been my favorite Disney restaurant. Not only can you sit on top of the world to watch the sunset & fireworks over Cinderella’s Castle, the food is consistently amazing, and Honig cab is the house wine. Enough said on that. Chef Kevin earned Disney Prince status with the perfect steak & crushed sweet potatoes, a special order of oven roasted potatoes, and serving up a completely over-the-top dessert of three chocolate chip cookies & ice cream. 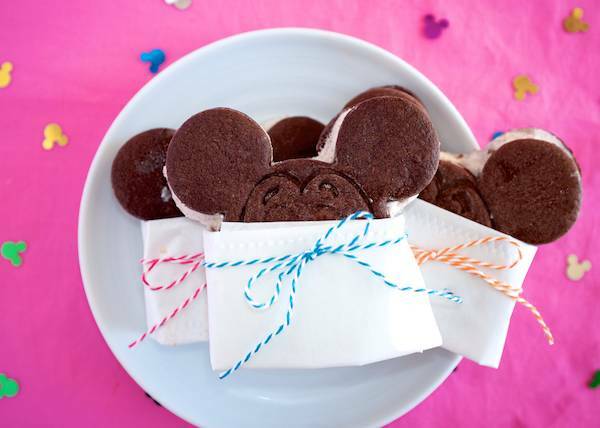 And the Mickey Ice Cream Sandwiches? Well, there’s no lack of fun, safe treats at Disney: Mickey pretzels, frozen lemonade, Edy’s strawberry bars, fresh cotton candy, crazy smoked turkey legs, pork shank & Lefeu’s Brew at Gaston’s Tavern, Goofy’s Glaciers. I even had a special delivery of Divvies cookies & caramel corn sent to the hotel…but the kids always looked longingly at the Mickey Ice Cream Sandwiches. Challenge accepted! 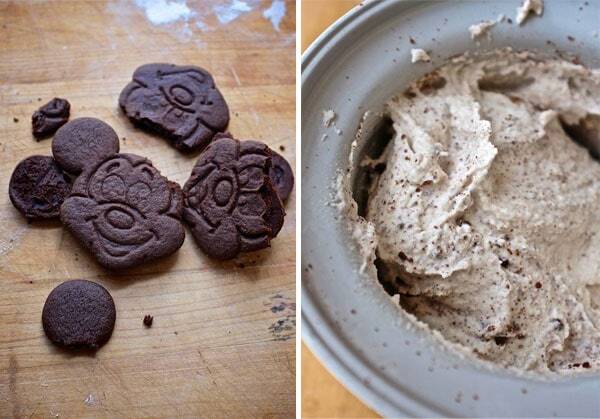 I found the cookie cutter on Ebay, adapted my old ice cream sandwich recipe and now it’s showtime. I can’t wait until they get home! Grins! So what was my most magical moment? Meeting Mickey. Somehow, we’d been so busy running from ride to ride, that we didn’t meet Mickey. On our very last day, we waited in line in the Magic Kingdom at the Town Square Theater to meet him. 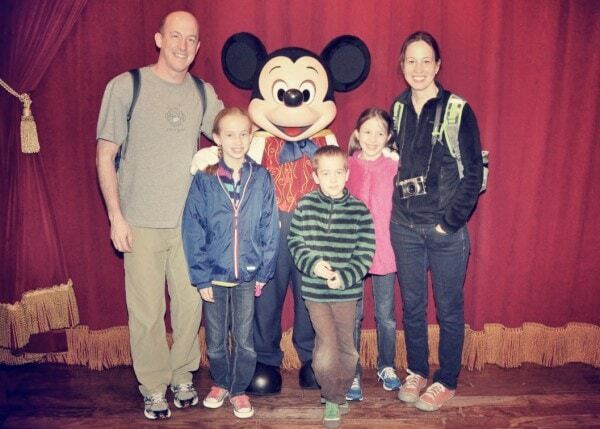 I was in typical mom-mode, just check this thing off so we can move to the next thing on the list: “Go in, pose with the mouse, pantomime a bit, get the pix, then let’s get moving over to Thunder Mountain”. Right? Then we were ushered into the room to meet Mickey. I stood there, frozen, with my mouth gaping like an idiot, and the kids had no idea why I was so dumbstruck. That place never, ever, ceases to amaze. These are kinda fussy as far as measuring goes, I think because the dry ingredients can get really packed down during storage. For the flour, cocoa and powdered sugar, fluff them up with spoon, then scoop with the measuring cup and level off with a knife. Place everything except the margarine into a food processor and pulse a few times to mix. Slice the margarine into the food processor bowl. Pulse about 8-10 times until the margarine is well blended and comes together into a ball. Roll out to ¼ inch thickness and cut into shapes. Place the cookies on a parchment or Silpat-lined baking sheet and place in the freezer. Preheat the oven to 350 while the cookies freeze. Bake for 10-12 minutes. They should puff up, then flatten out. When they start smelling good, they’re probably ready. Let them rest on the baking sheet for a few minutes before moving to a cooling rack, they’re pretty fragile when hot. Inevitably, some of your Mickeys will lose their ears, those are the dudes you crush & put in the ice cream. Add the remaining 2½ cups of creamer, sugar and oil. Whisk until smooth and the marshmallows are all melted. Add the cookie crumbs to the ice cream at the very end, transfer to a freezer container and freeze a bit before making the sandwiches. Your creations constantly amaze me! I can’t wait to someday make these (someday when my kids are older than 1 and 3 and I have a free moment between them and work!). Maybe it will be a late night project some night 🙂 Thanks so much for sharing your trip with us and this awesome recipe. These are so beautiful! 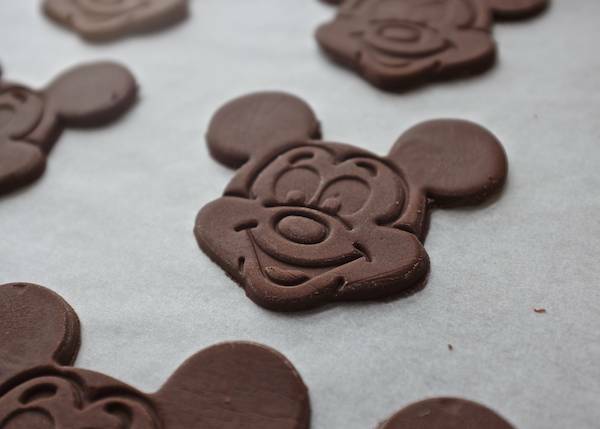 On our last trip I made safe Mickey Rice Krispie treats complete with ears dipped in chocolate. I vacuum sealed them in Foodsaver bags and they lasted well the whole week. Did you have Dole Whips at Disney? The orange and pineapple flavors are now dairy free if you’re ok with the risk of cross-contamination from the Vanilla flavor. My dairy allergic DS has had several without any problems. You can also order the mix online and make it in a home ice cream maker. I keep meaning to try your marshmallow-based ice cream recipe. Maybe this weekend! I’ve had Dole Whip…but not at Disney! I grew up in a super-small town in northern Michigan and we have a little ice cream shop that has been serving Dole Whip for at least 25 years now. I never thought about it being dairy-free. It would be fun to order up and make some at home. I guess Disney’s popcorn is dairy-free too, we never tried it, but man…that stuff smells amazing! I love the Mickey Rice Krispie idea! Thankfully, no princess dresses to be made this year. I think I would’ve lost my mind. Fun to do, but really time consuming! 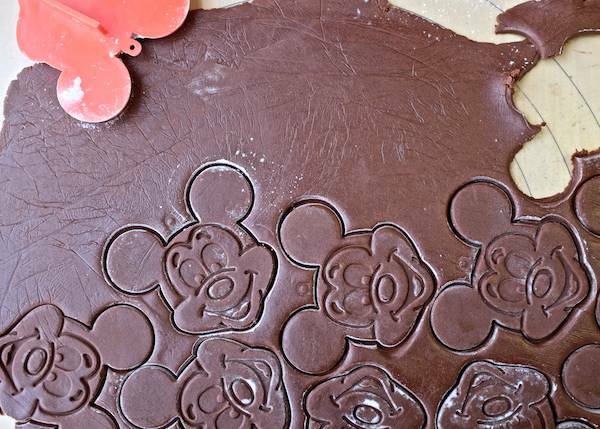 Love all of the Disney tips as well as recipes this time around. We are going to surprise our daughter next year with Disney. 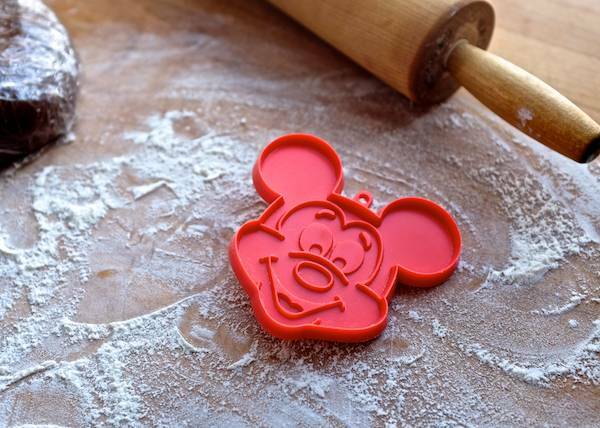 Great idea will be using for my sons Mickey Beach Party, how many servings does this make? You are absolutely legendary amazing !!! !